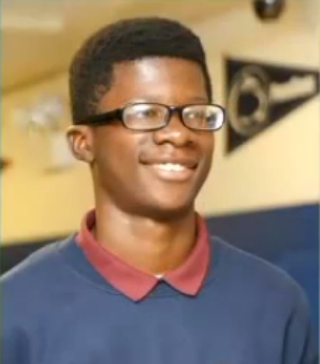 Their family had just given the 15-year-old twins permission to be out on their own together more often when Demario Bailey was shot dead by armed robbers while trying to protect his brother, Demacio, the New York Daily News reports. According to the news site, the boys were walking to a basketball game at Englewood High School in Chicago when they were attacked by four robbers Saturday afternoon. “Get off my brother,” Demario allegedly told the robbers, who were looking to take what they had in their pockets and also wanted their jackets, the site notes. The twins struggled with the robbers until one suspect pulled a gun and fired, killing Demario with one shot to the chest. The other accomplices and Demacio took off running. Demacio looked back to see his brother lying facedown. The boys were just three days shy of their 16th birthday. According to the Daily News, local law enforcement has taken multiple suspects into custody, including one 17-year-old who has been charged with murder, robbery and attempted robbery with a firearm. According to the Daily News, Demario’s death prompted a blistering statement from their school, Johnson College Prep, who called for martial law to be used in the investigation. Read more at the New York Daily News and the Chicago Tribune.